2-10 How Do The Fools Survive? Published By – Warner Chappell Artemis Music Ltd. Published By – Eagle Point Publishing Co.
Remastered reissue in 2 CD of the seventh and eighth albums. Disc One: Original catalogue number K56383, US BS3045, September 1977. Disc Two: Original catalogue number K56486, US BS3193, December 1978. Recorded and mixed at Sunset Sound Recorders, Hollywood. Additional recording at Western Recorders, Hollywood, and at Warner Bros. Studios, North Hollywood. Keith Knudsen played Pearl drums. John Hartman played Slingerland and Pearl drums. 4. Wixen Music UK Ltd./Universal Music Publishing Ltd.
6, 8. Wixen Music UK Ltd. Recorded at Warner Bros. Studios, North Hollywood. Mixed at Sunset Sound Recorders, Hollywood. Special thanks to a Brother, Bobby LaKind, for his constant energy in the studio and on the road, and to all our "crew-bie Brothers". 1, 11. Wixen Music UK Ltd.
2, 12. Wixen Music UK Ltd./Universal MCA Music Ltd.
4. Wixen Music UK Ltd./Warner Chappell Artemis Music Ltd.
7. 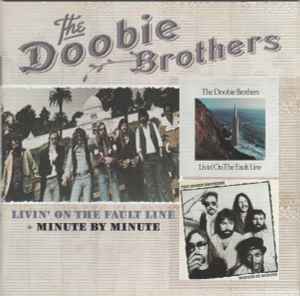 Doobie Brothers Publishing/Eagle Point Publishing Co.
10. Wixen Music UK Ltd./Warner Chappell Music Ltd. Licensed courtesy of Warner Music UK Ltd.
Disc 1 ℗ 1977. The copyright in this sound recording is owned by WEA International Inc.
Disc 2 ℗ 1978. The copyright in this sound recording is owned by WEA International Inc.
© 2011 Demon Music Group Ltd. Marketed by Edsel, a division of Demon Music Group Ltd.
rassimov, Sylvain2, kai81, DiscogsUpdateBot, djdaemon, blackplastik, Satchamo.